21.4" x 28.6" stitched on 14 count. 16.7" x 22.2" stitched on 18 count. Fairy Ring - Twilight Dancers cross stitch pattern... 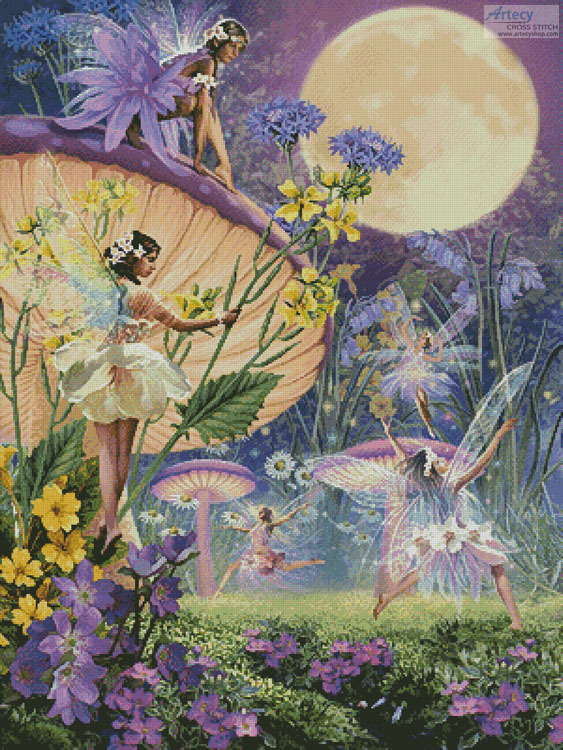 This counted cross stitch pattern of Fairies was created from beautiful artwork copyright of Steve Read and licenced through Meiklejohn Graphics Licensing (MGL). Only full cross stitches are used in this pattern. It is a black and white symbol pattern.